Turning Point is turning Melbourne’s brunch scene on its head. 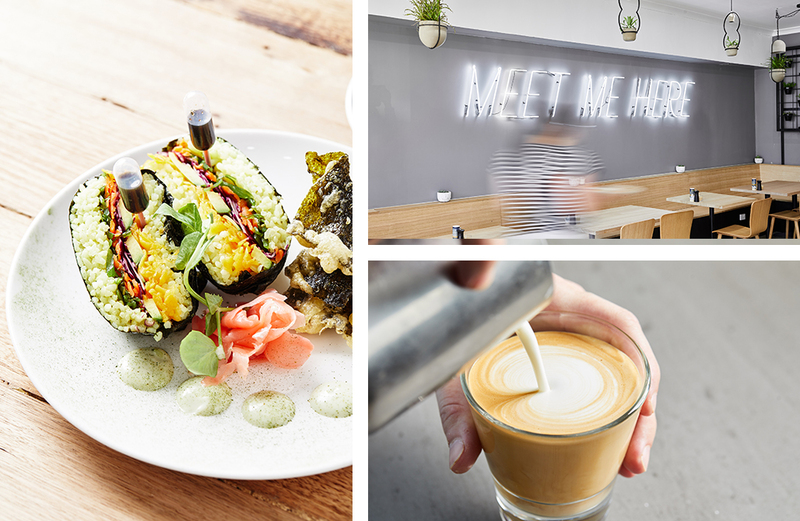 Tucked across the road from Ripponlea station, Turning Point is an all-day venue serving everything from runny poached eggs in the early hours to butterscotch espresso martinis after dark. If you’re rolling in before the sun comes up (a good choice, since it gets pretty busy inside), dig into the vegan-friendly and gluten-free Cocoa Pops—a banana garden with vegan chocolate mousse, kiwifruit, toasted seeds, nuts and cocoa-flavoured soy milk. There’s also ‘Peaches & Cream’ (a mouthwatering combo of grilled peaches, fairy floss and strawberry injectors among other things), Eggs Benny (we’re still dreaming about the rich braised beef brisket potato hash) and other favourites. When lunchtime comes around (you can order anything from the lunch menu from 10am, because the team knows sometimes you need more than eggs), expect a southern fried chicken burger (ft. brioche bun and smoked paprika fries), and Onigirazu, a sushi sandwich with avocado, seasoned sushi rice, wakame, red cabbage and lettuce with nori fries. Hot tip: There’s also a brekkie martini on offer at every hour of the day, because it’s never too early. For sweeter tooths, highlights of the cocktail menu include a butterscotch espresso martini and Aperol ritz (an Aperol Spritz crossed with rosé). The dinner menu is a balanced mix of nibbles and larger plates (so Mum can have her baked Rockling while the kids nibble on chicken wings). Don’t go past the chilli chorizo dip (which is served with garlic bread and is our literal food dream). Cheesy croquetas, Asado-style beef ribs and Pescado con hierbas (herb-crusted baked Rockling with open seas clam sauce and broccolini) are a few of our other picks. Order the appropriately named monster bowl for dessert, an OTT gloriously sugary concoction of triple-soaked milk cake, coconut ice-cream, condensed milk, evaporated milk, whipped cream, fairy floss, mini cones and churros. With a menu this good, you could plonk yourself down at Turning Point for the entire day. We’ll race you there. Editor's note: This article is proudly sponsored by Turning Point and endorsed by The Urban List. Thank you for supporting the sponsors who make The Urban List possible. Click here for more information on our editorial policy.